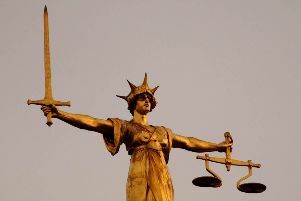 A private landlord has been fined £4,000 and ordered to pay costs of £2,750 after being found guilty of eight offences relating to a house in Wisbech. Caroline Humphrey, of Leverington, was convicted this week (Wednesday, April 6) of failing to comply with two improvement notices and six other offences concerning the management of the property in Sefton Avenue. She had failed to make the necessary improvements to ensure that there was proper heating in the house and to deal with hazards such as damp and mould caused by leaks from the bathroom, and the risk of falls on the stairs because there was no handrail. As the manager of the property, a house in multiple occupation (HMO), she was also found guilty of six offences concerning its upkeep. All were offences under the Housing Act 2004. Faults in common parts of the house included defective plasterboard walling, crumbling plaster, an unsanitary toilet bowl and the absence of floor covering to the timber floorboards in the bathroom. The light in the hallway was also inoperative and the bathroom window could not be closed. King’s Lynn magistrates fined her £500 for each offence and ordered her to pay £2,750.55 in costs and a £50 victim surcharge. The case was brought by Fenland District Council.